I started in broadcasting as an announcer in 1972 and enjoy being on the air. I especially like talk-radio and the opportunity to have contact with listeners on-the-air! And even though my primary job is that of GM for KWRD/KSKY, I still do a daily program, Monday-Friday at 11:30 AM. 'Consumer Magazine' is a live, 30-minute call in program that focuses on consumer issues. Each day we feature a different consumer topic and guest ranging from financial to health to tips for home improvement. Pictured here are (r-l) Dr. Paul Meier MD, Cheryl Meier and me during a recent broadcast on KWRD-FM, Dallas/Ft. Worth. 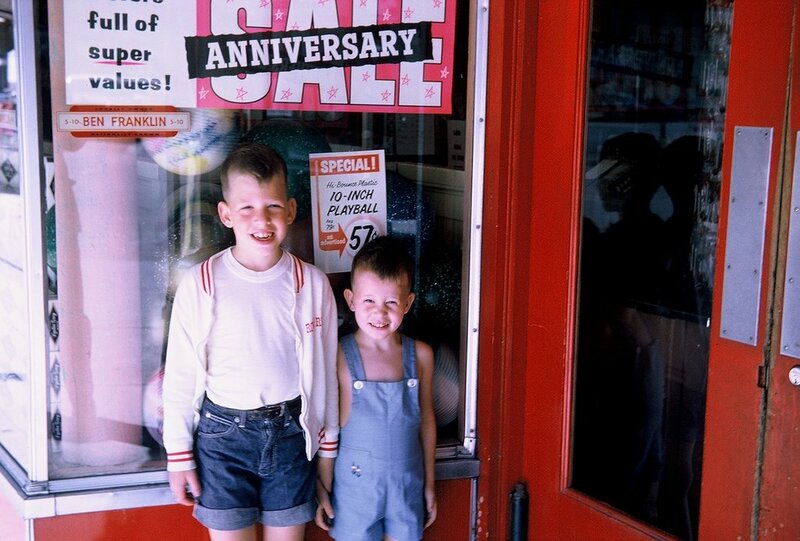 My dad owned the local 'five and dime' store in Charles City, Iowa. The Ben Franklin was a hub of activity. The 'Ben' carried a little bit of everything. From hardware to sewing needs to candy and toys...dad's store had it all. And it was at the Ben Franklin that I learned the value of a hard day's work and the connection between a good year in the store and our family's success. When we had a good year, presents were plentiful under the tree. When times were tough the presents were less abundant. 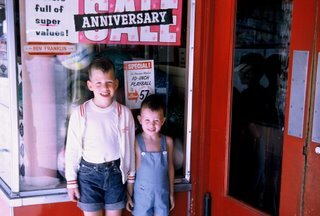 Pictured is my brother Charley (r) and me in front of Dad's store in 1963. I started working for dad when I was 7. First I was a 'bagger' and by age 9, I was a full-fledged checker. I think I made 25 cents per hour. The lesson in handling money and people was priceless. And, although I was certain I didn't want to be in the retail business, dad's dime store taught me some powerful lessons: 1. Nothing in life comes 'free' 2. You reap what you sow. 3. When you're the boss' kid, you've gotta work harder than anyone else in the store. And 4, free candy out of the candy case is nice but will eventually make you sick. Dad eventually sold his Ben Franklin stores. He actually had to once KMart, Walmart and other retailers started to capture marketshare with lower prices. Still, the time I had in his store was very valuable to me. 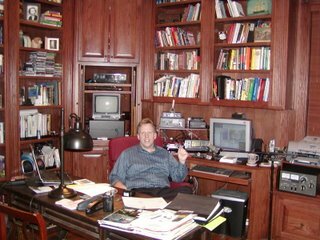 Pete's Office---Welcome to My Mess! Ok I admit it. I usually have a few projects going at one time. 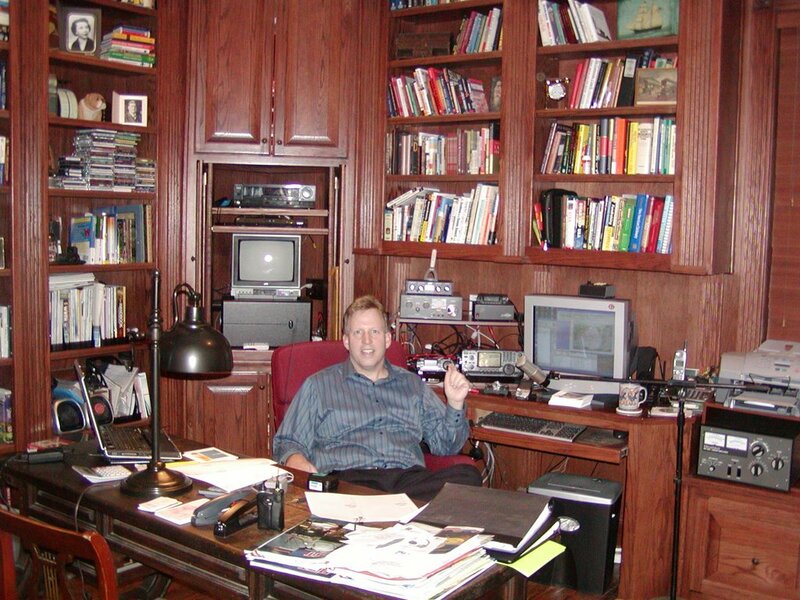 Here's a picture of my office in our home which contains my radio gear (aka 'Shack'), 2 computers, and about 1,000 books. Once a week, at least, I try to do a cleansing of the office...which usually consists of throwing away, filing or delegating. It feels good to clean up the office but, unfortunately, the clean feel only lasts for a few hours. I've often heard that busy people get things done. However, that only works to a certain point. I've learned that when I have too many projects going at once, nothing gets done. New Year's weekend is always a period of office cleaning for me. Generally I have a couple of days off during this time, and I've found that starting the office clean in the New Year is a good thing. Not everybody gets to go to work at a job they love. I'm lucky. I love my job. I've been in radio since I was 16 years old. Currently, I work at GM of KWRD and KSKY Radio stations in Dallas/Ft. Worth . 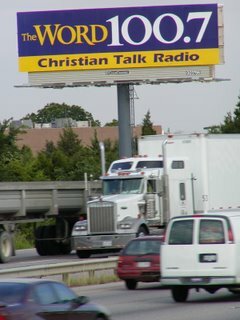 KWRD is a Christian Talk station featuring teaching and talk programs 24/7. 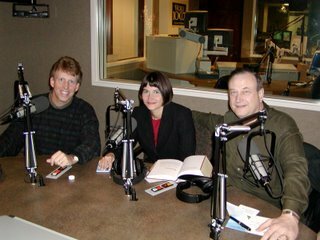 Some of America's top Bible teachers are on our station: James Dobson, Jack Graham, Charles Stanley, Alistair Begg and others... 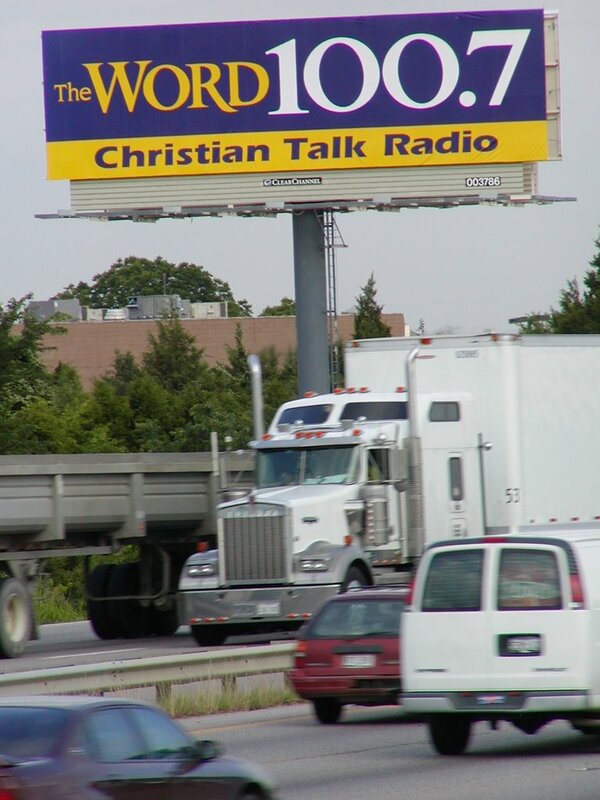 I've been in Christian radio since the late 80s and it's incredible to see radio work positively in peoples lives. 660 K-SKY is a news/talk station. We've been broadcasting this format since April of 2004. K-SKY, while it doesn't have a religious format like KWRD, has a very conservative line-up of hosts: Mike Gallagher, Laura Ingraham, Dennis Prager, Michael Medved and Hugh Hewitt. I'm really lucky....Most days, I really love going to work.